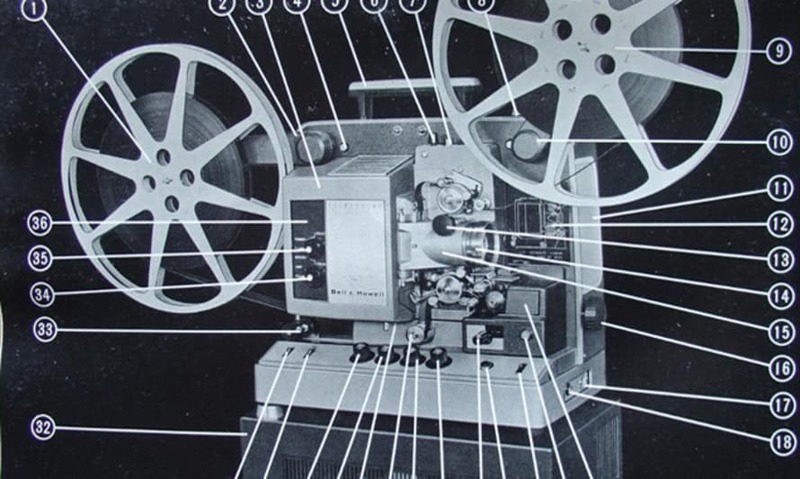 As part of tomorrow's Celluloid City programme, we have the privilege of chatting to retired projectionist Phil Fawke. Phil was 82 when he projected his last show at the mac, bringing to a close almost seventy years spent in small dark rooms with whirring reels. 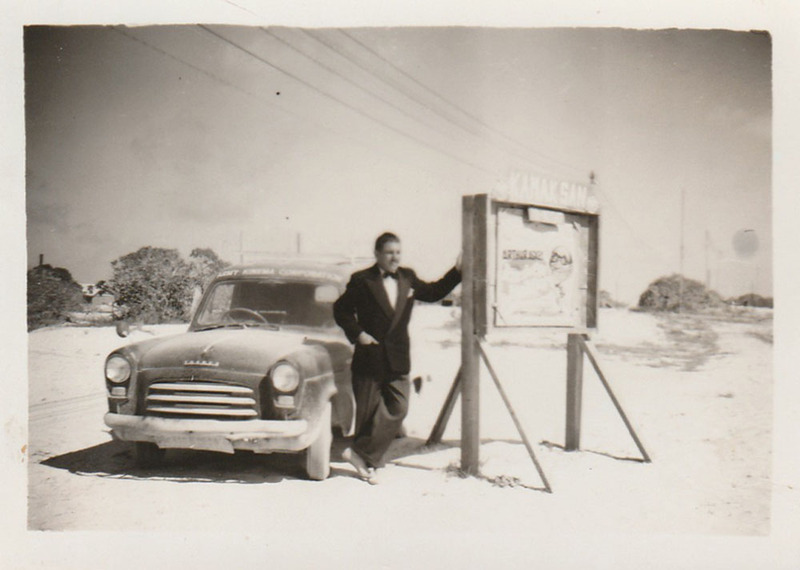 He started out at the Regal in Leamington, back in the days when an army of white-coated technicians attended to each show, and spent many years running the Kings Norton cinema with his wife. The chapter that really stands out, however, is a stint on Christmas Island in the late 50s, when the British were testing the H-Bomb. 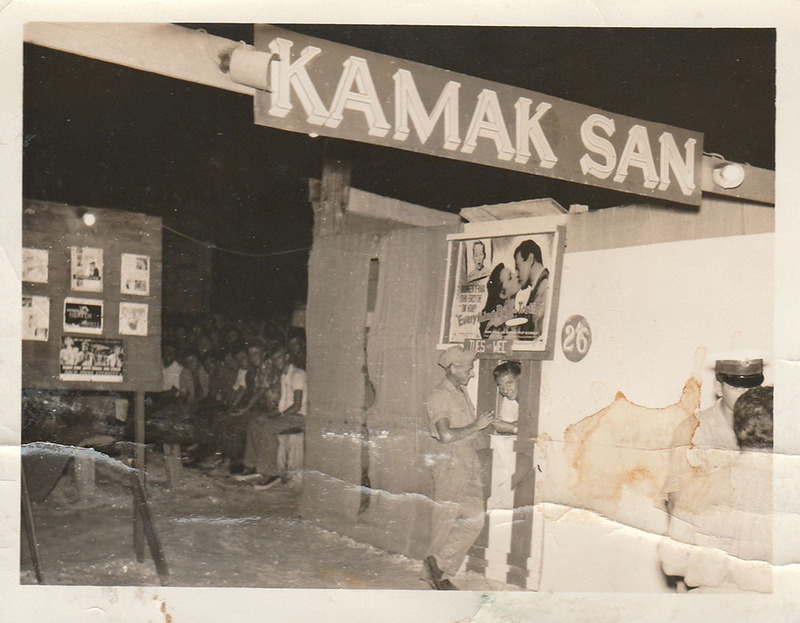 "The only other pastime worth a mention was the open-air cinema, the 'Kamak San'. Most nights, the roar of Shackleton aircraft, changing propeller pitch overhead prior to landing marred the performance. The distant boom of waves pounding over the reef supplemented this row, and up above, the stars seemed to shine much more brightly than they ever did back home. 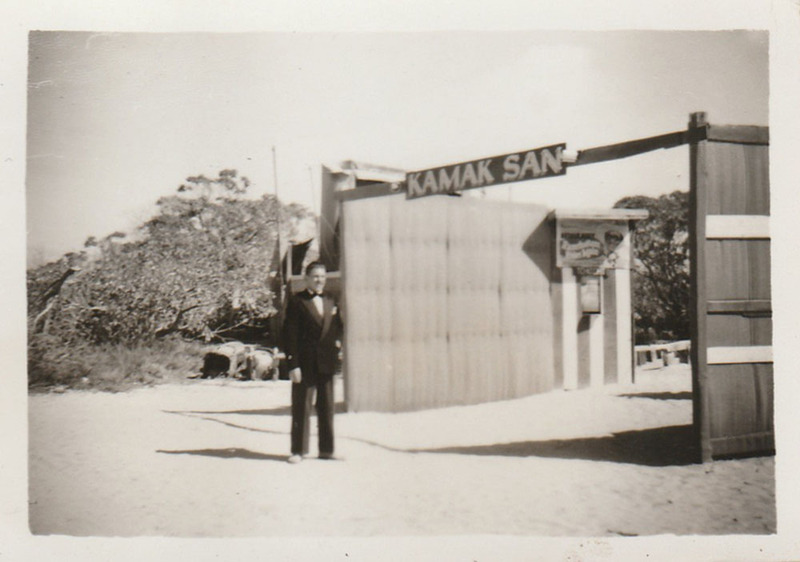 Altogether, a far different experience from the local flea-pit." Advertising an Arthur Askey film. 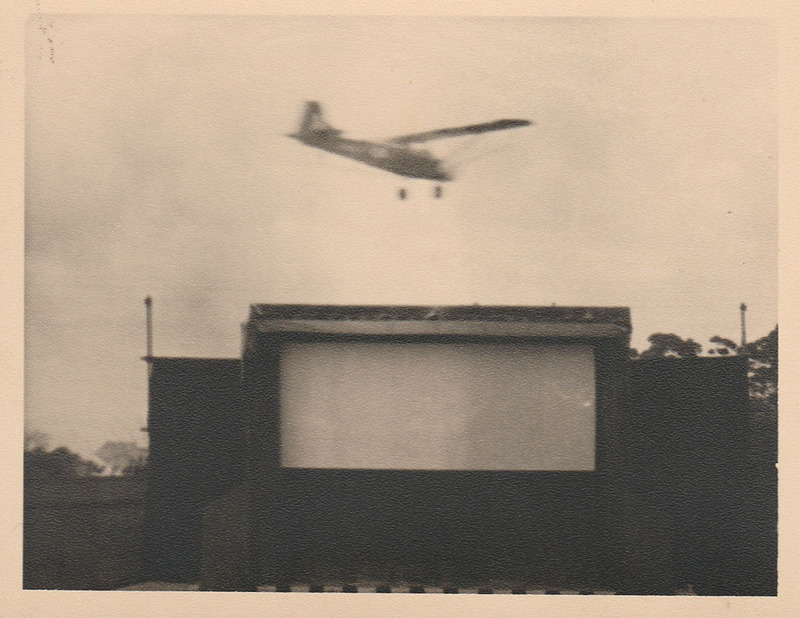 Screen with plane (Phil remembers the planes liberally spraying DDT). 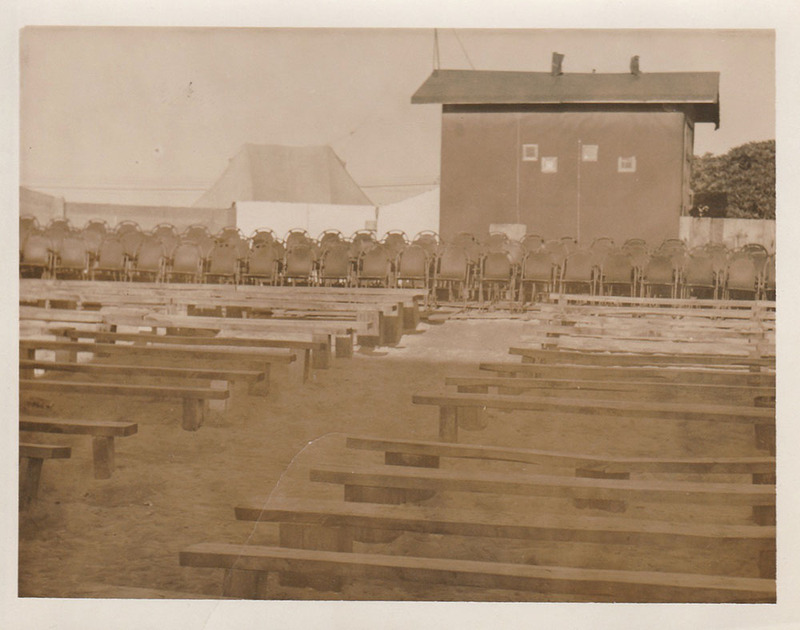 The driftwood benches, with projection box in the background. 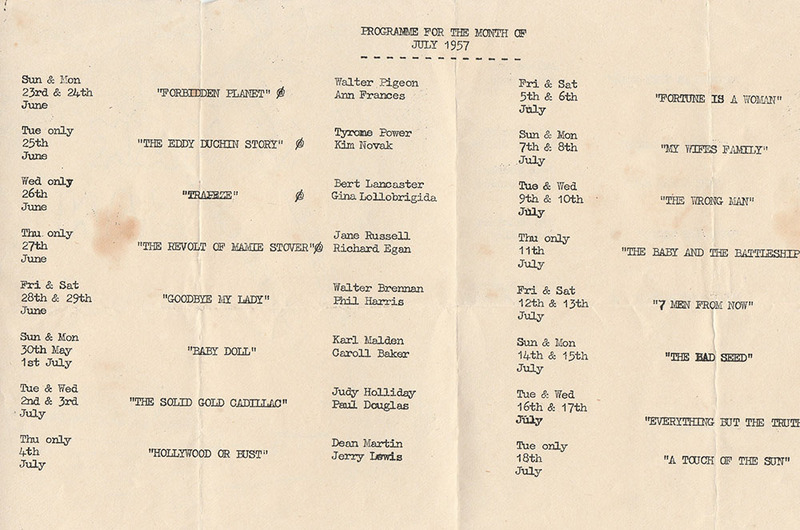 ...And a full house for the late Maureen O'Hara in Everything But the Truth (1956). Phil will be sharing his memories of this time at 3pm in the mac cinema on Saturday, one of many free celluloid events over the weekend. 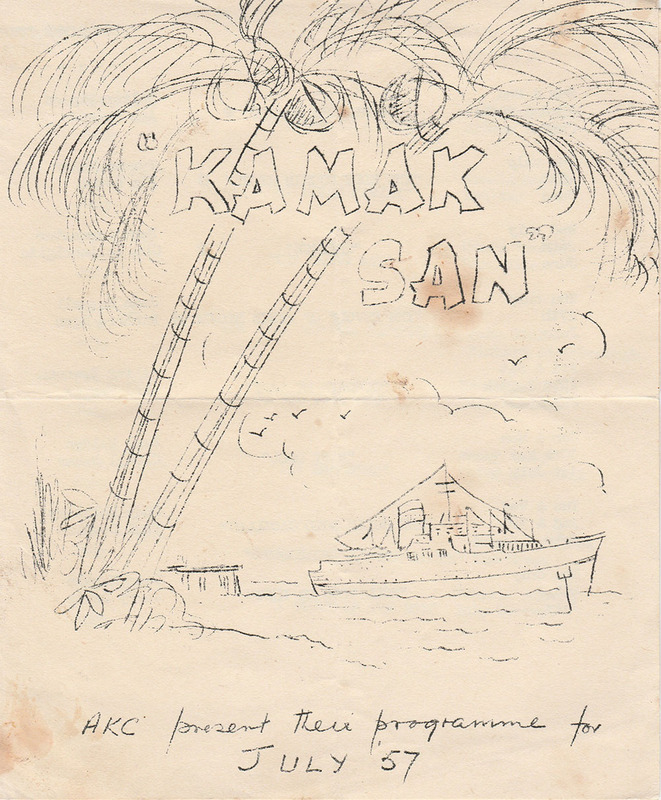 Kamak San programme from July 1957. The @ symbol denotes a Cinemascope screening.